An Austrian scientist and physicist Lise Meitner is known for her contribution in nuclear physics and radioactivity and is often called to be the mother of the nuclear fission. She, along with her colleague Otto Hahn, demonstrated the process by which atoms can be split to release huge quantity of energy. Their explanation helped the world develop nuclear reactors as well as nuclear bombs. 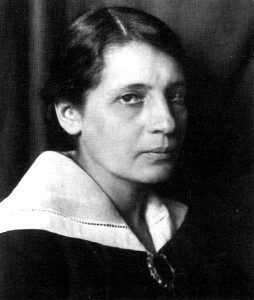 Meitner was born on 7 November 1878 in Vienna into a Jewish family. Her father Philipp Meitner was a famous lawyer in Austria. She was very talented in mathematics and physics from early childhood and soon she became a known face in her academic circles. In 1905, she became the second woman of twentieth century to hold a doctoral degree in physics from the University of Vienna. The beginning of the twentieth century was biased and hostile towards the women in research fields but it was her father who supported her financially and emotionally to go further. She went to the prestigious University of Berlin where she experienced the biasness towards female academics and she was not allowed to work in the main laboratories. She accomplished academic ranks and recognition through her revolutionary contribution in radioactivity and with the support of a renowned German theoretical physicist Max Planck. Later, she was appointed as the head of the physics section at the Kaiser Wilhelm Institute for Chemistry. Meitner teamed up with Chemist Otto Hahn with whom she discovered numerous new isotopes. In 1917, they discovered the element Protactinium and in 1923 she explained the cause of the Auger effect which proved to be a main tool for the probing of the structure and composition of surfaces. She published more than eighty papers by the year of 1930. Their reputation increase and between 1924 and 1934 the Meitner-Hahn team was nominated for the Nobel Prize for eight times but in 1938 she was under tremendous pressure to leave Germany and shift to Sweden. In her absence, Hahn continued the research with Fritz Strassmann and in between Hahn informed her about the results while she visited the Denmark. Finally, Otto Hahn received the Nobel Prize in 1944. 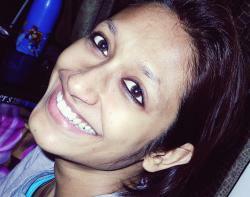 Her achievements were highly ignored by Nobel committee. Nevertheless, Meitner was the first woman to be awarded the silver medal of the prestigious Leibniz Prize and the AAAWS, which is called to be ‘women’s Nobel Prize’. On 27 October, 1968 she died at the age of 89 and was buried in the village of Bramley in Hampshire, at St. James parish church beside her younger brother Walter.